Iraqi director Mohamed al-Daradji (left) with child-actor Yassir Talib at the 2010 Berlinale Film Festival, where his "Son of Babylon" won "Peace Film" honors. Suha Salem is Iraqi. She's a top actress. And she's terribly frustrated. Despite the wealth of producers, cinematographers, and cameramen in Baghdad, the dilapidated state of Iraq's once-proud film industry keeps Salem's famous heart-shaped face, dark hair, and soulful eyes from reaching the silver screen. Salem first appeared on film in three government-sponsored movies in the 1980s, part of a wave of propaganda film advanced by Saddam Hussein's regime. She has reemerged as part of an awakening film community in Iraq, but says when it comes to cinema, Iraq is still "very commercialized." She complains that even tourism commercials in nearby Egypt and Syria have more artistic depth. "Here in Iraq, no," she says. "They are limited." Local television stations in Iraq often lack basic production capabilities. Besides, Salem says, they "care about making money, not art." Iraq produced only one festival-level feature film between 1990 and 2005 due to years of United Nations sanctions, the heavy hand of Saddam Hussein, and the devastation of modern warfare. Iraqi artists today continue to work in difficult conditions, their efforts compounded by damaged infrastructure, recurrent electricity shortages, limited educational opportunities, and, in recent months, no working government. But that hasn't stopped prominent Iraqi filmmakers Mohamed al-Daradji and Oday Rasheed from planning to open the country's first film-production center in Baghdad next month. Both al-Daradji and Rasheed have shot films on the ground in Iraq that have gone on to wow international audiences. Rasheed's 2005 film "Underexposure" -- the first feature film shot in the country since the fall of Saddam Hussein -- earned Best Film honors at Singapore's International Film Festival. Rasheed, 37, never left his native Baghdad and shot "Underexposure" on expired 35-mm Kodak film that he obtained from Saddam's archives on the black market. He and his crew funded the project by selling off their possessions and doing some local fundraising. The resulting film attracted international attention and launched his career. Al-Daradji, 32, studied theater in Baghdad briefly before fleeing to The Netherlands in 1995, later graduating with a degree in cinematography from the University of Leeds, England. He returned to Iraq in 2004 to shoot his first film, "Ahlaam." His latest film, "Son of Babylon," was also shot in Iraq and is now in distribution. Funded by the U.K. Film Council and a host of international organizations, the film has been nominated Iraq's official entry for the foreign-language film competition in the 2011 Academy Awards. Both directors remember how hard it was to shoot a film in Iraq. They also understand how hard it is to break onto the international film scene when you're coming from a country whose cinematic history has been largely frozen for decades. The heyday of Iraqi film was in the 1940s. But after Iraq invaded Kuwait in 1990, UN sanctions sent the country's film industry into decline. Film stock and chemicals necessary for film laboratories were banned over concerns that they could be used for chemical or biological weapons programs. Not a single feature film was made in Baghdad in the decade and a half before Rasheed shot "Underexposure." Today, Rasheed and al-Daradji believe Iraqi society is turning to art in a search for identity and healing after living through both dictatorship and the horror of modern warfare in the span of one generation. 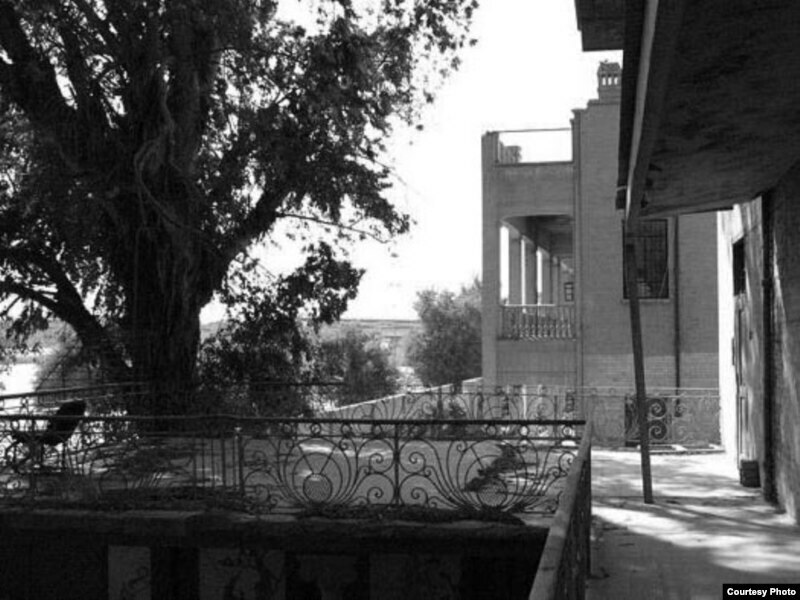 A pre-reconstruction view, in black and white, from the balcony of the planned Baghdad film-production center that overlooks the Tigris River. Rasheed, who recently led a Baghdad workshop for a group of 80 young Iraqi filmmakers, says the rising generation (60 percent of Iraq's population is now under 25) is particularly interested in pursuing cinema. The new production center, he says, is "something for the future, you know." Rasheed and al-Daradji both have their own production companies. "We made it," explains Rasheed. "And film life, you make it once and you made it. Forever. So, actually, we don't need this." He says the idea is to help "those guys who sit in Iraq dreaming up films, but they don't know how to do it." The new center is housed in a sprawling, once-grand, 12-room building just off the Tigris River in Baghdad. One of the first homes in the capital city built with an elevator, it is the former home of Sassoon Eskell, who in 1921 became the country's first finance minister after the fall of the Ottoman Empire. The property now belongs to Iraq's Culture Ministry, which has in turn provided it to Rasheed and al-Daradji rent-free for three years. The new center is so far funded solely through private donations. But al-Daradji says he is pursuing other donors and possible corporate sponsorship with the goal of raising $5 million within five years -- perhaps emboldened by his successful launch in March of Iraq's Missing Campaign, which seeks to identify the thousands of bodies buried in mass graves throughout Iraq. The center will serve as a meeting point for the country's cinematic community, offer classes and workshops to young filmmakers, provide equipment necessary for filming and production, work with Iraqi authorities on improving film distribution, house the country's film archives, and show films. Cinemas are sparse in Iraq, and there are no legal outlets to rent or buy films. Al-Daradji has hopes for "the start of a proper film industry in Iraq" that will help the country "move on" as U.S. troops trickle out and the country slowly recovers from years of conflict. He believes "cinema can play a big role" in Iraqi society and hopes the new center will help raise the profile of Iraqi film internationally. Al-Daradji says Iraq "learned from other nations that used art and culture to help them" after experiencing war "and this is where we see that the film industry and Iraqi cinema should be playing a role." For Faez Naser Alkenani, a young film producer based in Al-Basrah, says Iraqis must use film as an opportunity to "send our message to others," using cinema "not to show off or just for fun, but because it's a responsibility." "It's for society, for its institutions, and for the Iraqi people themselves," he says. "But it's also for the audience. We have to use this art to make ourselves visible, so that others can see us." For al-Daradji, the time is now. "We need to tell Iraqi stories so the Iraqi people can analyze themselves, take distance between their reality and what they see in the dark room [of the cinema]," he says. "Because what we see in the dark room, you can analyze your problems." Iraqis are responding. 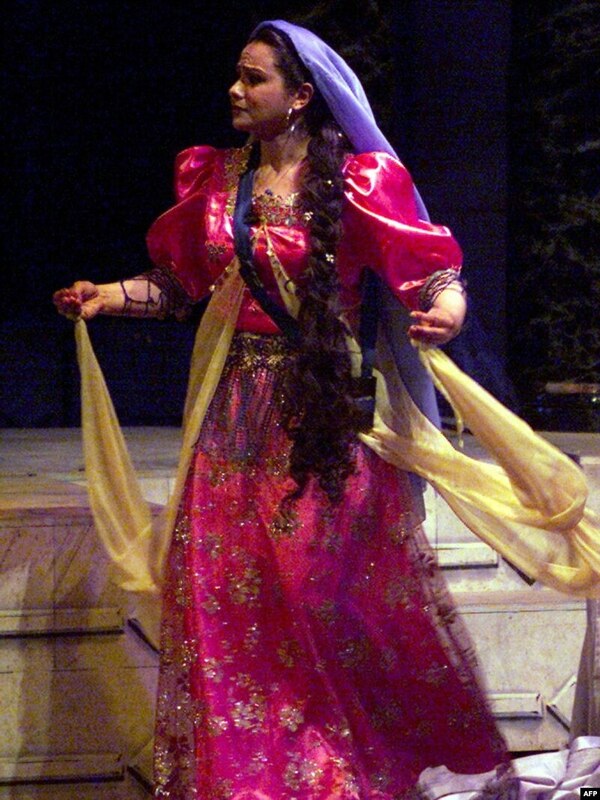 In May, a crowd of almost 2,000 gathered in Baghdad to see a screening of al-Daradji's "Son of Babylon," which is about a mother's search for her son in the wake of the 2003 U.S. invasion. Al-Daradji remembers many people crying through the screening. He says he wasn't sure if they were crying because they were remembering their own experiences in Iraq at the time, because they hadn't been in a cinema in 20 years -- Baghdad still has no working cinema -- or because they were simply moved by the film. For him, the incident serves as a reminder of the power of art in postconflict societies. Actress Salem, who is also a professor at Baghdad's Academy of Art, says more and more young Iraqis are interested in film and are following the latest developments by getting films off the black market. A few months ago, private television channels in Baghdad sponsored a short film competition in which contestants submitted film scripts. Salem says the event, in which hundreds of young Iraqis participated, was hugely successful. As for government support, the Culture Ministry provides little or no money and has not funded a single film since the U.S. invasion in 2003. Cinema emerged as a cultural activity among Iraqis in the early 1920s. Crowds flocked to Baghdad's historic Al-Zawra Theater to watch silent movies. Iraqi films, supported by France and Britain, soon appeared under the rule of King Faisal II (1939-58). Production companies established themselves in Baghdad for what the critics regard as Iraq's golden age of cinema -- a period of sumptuous romantic films on the scale of the Ziegfeld Follies. After Faisal's fall in 1959, authorities began to use film for overtly political ends, culminating in Saddam Hussein's 1979 rise to power and subsequent 1980 autobiographical film, a six-hour work bolstering his cult of personality. However, the 1980s were the last truly active years for Iraq's cinematic community. Now, Iraqi artists say they are ready to work. "Frankly, we need a foundation," says Majeed Abdulwahed, a professor at Al-Basrah's College of Art. "For example, you have a good agricultural engineer and you have a plant, but where's the ground? You need the ground to help things grow. We need a theater platform. I don't need a writer or editor -- give me the ground, the tools to work. Give me the theater, give me hope, and I will do everything. Our problem is that we have no production support." Rasheed says the center is almost ready to provide that foundation; it just needs a few more finishing touches. "For example, the garden is not ready yet. And we have an amazing, beautiful garden, like with the trees, like I'm just standing right now with the tree -- I think it's like more than 100 years old, something like this," he says from the balcony, looking out on the grounds where you can catch a breeze from the nearby Tigris River. "It's really amazing, you know." He says he can't wait to open the center. "We just need a little bit of time and money," he says, "to finish the whole thing."